Nordic Arts and Health Research Conference brought together Arts and Health researchers from Finland, Denmark, Norway and Sweden. 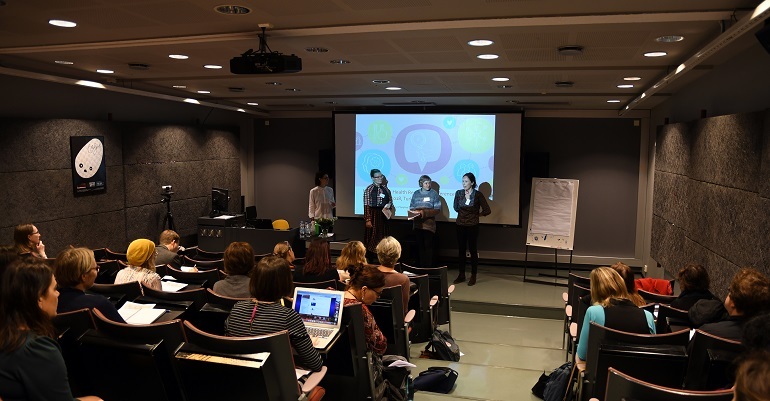 On 7th November 2018, a Nordic Arts & Health Research Conference was held as a Nordic collaboration in Turku, Finland. The aim of the event was to bring together Nordic researchers interested in the intersections of arts, culture, health and wellbeing, to share and discuss ongoing research projects as well as to take the first steps to start building a network of Nordic Arts & Health researchers. Furthermore, one of the key themes of the conference was to introduce work in process of a new journal publication Nordic Journal for Arts, Culture & Health. 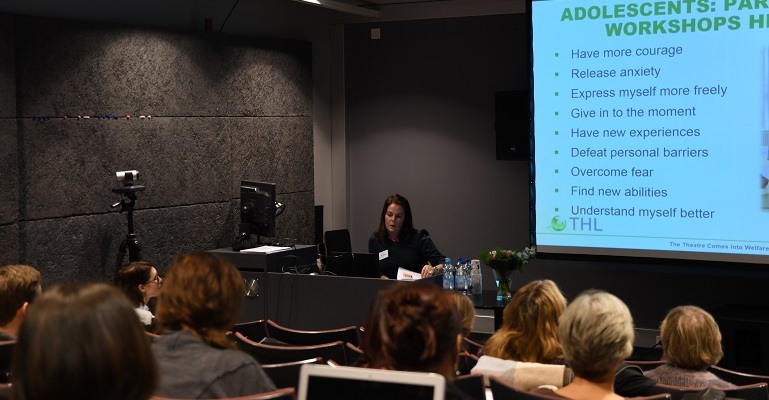 The conference was supported by Taikusydän initiative and the Arts Academy at Turku University of Applied Sciences. The conference attracted 41 researchers from Finland, Denmark, Norway and Sweden. The conference programme included 14 research presentations followed by three parallel workshops. (Proceedings from the conference can be viewed here.) The conference was opened by the keynote speaker, Adjunct Professor, Senior Researcher Pia Houni from the Finnish Institute of Occupational Health. In her keynote she set a fundamental and critical question to prepare the ground for the discussions of the day: what are we in fact talking about when we talk about arts and health together? Whether based on an idealistic view, experiences or research knowledge, the various impacts of arts have been contemplated throughout the history. In her keynote Houni highlighted the manifold factors associated to wellbeing and underlined the need to clarify how the different conceptions of wellbeing are employed and made visible in Arts and Health research. For example, the different concepts of subjective wellbeing, eudaimonic wellbeing and social wellbeing all offer particular and diverse approaches to examine the intersections of arts, health and wellbeing. The first session of research presentations in the morning included four presentations focused on the theme of participatory arts, theatre and mental health. Associate Professor Anita Salamonsen (Uit – The Arctic University of Norway) opened the session with a presentation examining amateur theatre and user participation as health promotion in Nordic mental health care. Drawing on empirical research conducted in close co-operation with a North-Norwegian theatre company Teatret Våres, the creative and healing agency of amateur theatre was explored through the lens of the social model of care. Salamonsen introduced the preliminary research results, suggesting an underexplored healing potential of amateur theatre groups. As a preliminary conclusion, Salamonsen suggested that it should be further explored whether health promotion and recovery could actually be better achieved in everyday settings including creativity and user involvement, compared to traditional mental health care institutions which are based on more biomedical model of care. PhD student Kristin Berre Ørjasæter (Nord University) presented her research project, in which she explores how participation in music and theatre workshops can support recovery processes of people with long-term mental health problems. Focusing on the individuals’ experiences and lifeworld, the research explores what experiences of arts participation bring to the lives of people with long-term mental health problems, how arts participation may transform identities among people with mental health problems as well as what enables meaningful arts participation in a hospital setting. Based on the research findings, Ørjasæter concluded that participation in music and theater workshops might lead to personal, social and community changes for people living with long-term mental health problems. Senior Researcher Päivi Känkänen from National Institute for Health and Welfare presented an ongoing research project assessing the effects of participation in drama workshops in reform school environment. Senior Researcher Päivi Känkänen (National Institute for Health and Welfare in Finland) presented an ongoing research project assessing the effects of participation in drama workshops in reform school environment. As traditional discussion-based psychotherapy has been found to have limited positive effect for many adolescents in child welfare care, the research project aims at developing new creative care methods for adolescents with behavioral problems. In her presentation Känkänen outlined the research results, including changes in self-conscience, self-image, emotion processing and attitudes towards future, discussing also the importance of art as a means of communication. Associate Professor Ellen Foyn Bruun (Norwegian University of Science and Technology) presented a practice-based research project conducted together with a social enterprise Ville Veier, which offers professional service integrating arts, mental health and social work in Stavanger, Norway. The clients of Ville Veier are young adults with mental health challenges, who are excluded from ordinary work and education. Drawing on case examples of her study, Bruun discussed the potential of arts-based methods and performance making in fostering resilience from within, to break negative patterns and boost self-esteem. The second session of research presentations focused on Arts & Health in education and therapy. Mental health nurse and Associate Professor Wigdis Helen Sæther (Norwegian University of Science and Technology) opened the session with a presentation on the power of art and culture in education and practice in mental health work. Drawing on John Dewey’s literature regarding the connection between the self and the environment, Sæther described how aesthetics and creativity are integrated into every day work and life. She explained that the arts can offer a space for self-reflection in both educational and therapeutic contexts. Futhermore, Sæther suggested that the arts can offer new ways for communication. Being in contact with a patient through art and symbolic language, as opposed to just dialogue alone, can help to improve the caring relationship. Sæther also spoke about how the arts are being integrated into medical education at the Norwegian University of Science and Technology. A course on Art, Culture and Activity in Mental Health Work is offered to students working within the field of mental health. Assistant Professor Anders Juhl Rasmussen (University of Southern Denmark) presented his work on Narrative medicine and how it can contribute to medical education. This approach to treatment highlights the importance of understanding the patient narrative as a foundation for healing. Juhl Rasmussen shared insights into how medical students can be provided with introspection, reflection through learning about Narrative Medicine. He also discussed ideas on narrative empathy and its importance within the medical field. 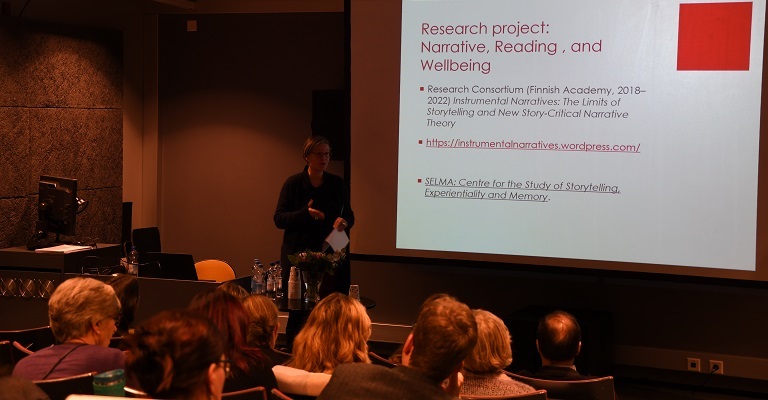 Bibliotherapist and Senior Lecturer Päivi Kosonen (University of Turku) presented her work on the Finnish model of Bibliotherapy, along with the potential of narratives for well-being. Kosonen drew upon her work with SELMA, The Centre for the Study of Storytelling, Experientiality and Memory. Bibliotherapist and Senior Lecturer Päivi Kosonen from University of Turku presented an ongoing research project studying the potential of literary narratives in different group contexts. During the afternoon the participants split into three parallel thematic sessions. The themes covered Arts in health and care, Music and health, and Sense, technology and health. The session focusing on Sense, technology and health began with a presentation from PhD student Gemma Goodall (Norwegian University of Science and Technology), who shared preliminary findings from a European project called SENSE-GARDEN. This interdisciplinary project is working to create virtual and adaptive spaces for the people living with dementia. Goodall suggested that the use of a multisensory room which contains individualized media such as family photographs and familiar music might be able to help promote and preserve the narrative identities of people living with dementia. This was followed by a presentation from Postdoc researchers Camilla Groth and Elina Ilén (Aalto University), who presented innovative work on smart textiles for prematurely born babies. These smart textiles provide a non-invasive way of measuring physiological activity in this patient group. Groth and Ilén focused on the design process, highlighting the need for human-centered design. Within the session Music and health, Researcher Soile Hämäläinen (Uit – The Arctic University of Norway) presented a pilot study aiming to explore whether yoik, which is an old vocal music tradition of the Sami, may have the potential to positively influence people’s health and wellbeing. The study focused on different persons’ experiences with yoik, and whether the yoik experiences can be connected to health outcomes. The findings of the study suggested that yoik may be beneficial for people’s health as a means of emotion management and self-regulation. Drawing on the results of this pilot study, Hämäläinen concluded that yoik’s potential as an intervention in culture sensitive healthcare and health promotion work should be further investigated. Professor Tarja Rautiainen-Keskustalo (University of Tampere) presented an applied research project focusing to increase the communication capacity of the Parkinson’s patients. The ongoing research project studies the impacts of four rehabilitation interventions on the sound quality, communication activity and mental wellbeing of Parkinson’s patients, examining e.g. whether group singing can benefit sound quality and general wellbeing of Parkinson’s patients. The session focusing on Arts in health and care began with a presentation by External Lecturer Hanne Bess Boelsbjerg (University of Copenhagen), who explored in her presentation the potentials for improving palliative care through the collaboration of science and art. In her presentation she gave a brief introduction to initiatives using art as a tool for developing better skills for talking about existential and spiritual issues and communicating research results in an alternative way within palliative care. This was followed by a presentation from Music therapist Sari Laitinen (Espoo Hospital) sharing insights on an ongoing Arts and Health project focusing on arts in supporting recovery in a hospital environment. 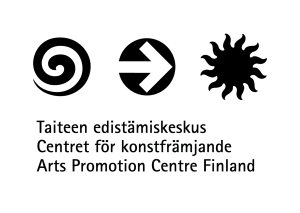 The aim of the project, carried out in Espoo Hospital, is to establish the use of arts in the hospital, enable concrete experimentations and strengthen networks with artists, art therapists and musicians in hospitals. The project includes several art forms, such as music, improvisation, dance and visual arts. In their interactive workshop Postdoc Anita Jensen (Aalborg University) and Associate Professor Wenche Torrissen (Volda University College and Nord University) presented the ongoing work on a Nordic Journal for Arts, Culture and Health. The presentation included the work that had been done so far, aims and objectives of the journal, suggested publishing house, considerations about open access and future financial models to support the journal beyond the initial three years. The workshop invited the participants to contribute with ideas, concerns and their interest in contributing in terms of authoring articles and being a reviewer. There was lively group discussion on the topics and questions such as impact factor and points for publishing were raised. The overall enthusiasm suggested that there is strong interest for Nordic Arts and Health researchers to have a publishing platform that includes the publishing opportunities in Scandinavian languages. 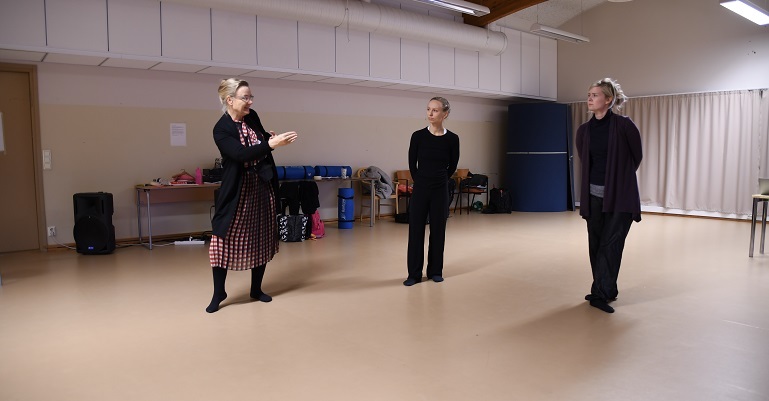 Professor Eva Bojner Horwitz giving instructions to two professional dancers in her workshop Reflecting #metoo with music and dance – using Microphenomenology as a way to understand social touch. Professor Eva Bojner Horwitz (Royal College of Music in Stockholm and Karolinska Institutet Sweden) led an intimate workshop that explored the use of dance, body movement and music in communicating emotions and lived experiences. Professional dancers portrayed concepts such as body memories and mirror neurons through the expressive form of dance. Workshop participants shared their interpretations of each dance, along with the impact that it had on them. The workshop concluded with an open discussion and reflection on how each of the participants could incorporate microphenomenology into their own work and practice. Leah Burns and Masood Masoodian (Aalto University) led a workshop inviting participants to explore a visual storytelling method they are currently using in research projects with older adults. The visual storytelling methods Burns and Masoodian have developed, use images to identify and reflect on the stories of ageing and well-being maintaining, concealing, resisting, and countering dominant narratives. These reflections are used to generate different strategies to advocate new approaches for improving health and well-being practices for seniors. One of the key aims of the conference was to initiate a Nordic research network for Arts & Health. 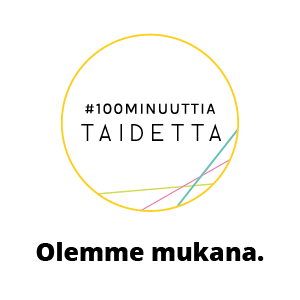 The initiative was taken by Arts Academy (Turku University of Applied Sciences) together with Centre for Culture & Health (Aalborg University), Norwegian Centre for Arts and Health (Nord University), Volda University College, Karolinska Institutet, Royal College of Music in Stockholm, Research Center for Culture and Health (University of Turku) and Norwegian University of Science and Technology. It was evident that there is a need for a research network fostering interdisciplinary discussion and providing a platform for collaboration in the Nordic context. Part of the afternoon included discussions about the concept of the network, including practical issues such as funding opportunities and getting organised. The next Nordic Network Event will take place in Malmö, Sweden on 21st-22nd May 2019. Text written by Liisa Laitinen (Arts Academy, Turku University of Applied Sciences), Anita Jensen (Aalborg University) & Gemma Goodall (Norwegian University of Science and Technology).